For many runners, heart palpitations are a one-in-a-blue-moon occurrence. But when they strike while running, they can be a scary thing. Nonetheless, hopefully by the end of this blog post, you will learn that in most cases it’s not something worth having a panic attack about. Although for some runners these heart palpitations can be a source of real worry, they are typically harmless. In fact, heart palpitations are a normal condition, and can be prevented by making some simple lifestyle changes. Note: what I’m about to share with you should not be considered medical advice. I’m not a doctor, nor an expert of any kind. I’m just a regular runner who is sharing his insights on the subject. Hence, please feel free to consult with your doctor to ensure that your heart palpitations are not underlying symptoms of a critical condition. The little disclaimer aside, what are heart palpitations? How do they happen and occur? And what can you do about them? Heart palpitations are the perception of the heart rate unexpectedly starting to race, pound, flip-flop, skip a beat or flutter. In its essence, this condition is an abnormal beating of the heart coupled with heightened awareness of the heart beat. The signs of this condition tend to vary from one runner to the next. In some cases, you may feel an irregularity of the pulse, a flip-flopping sensation in the chest, along with chest pain and/or discomfort. 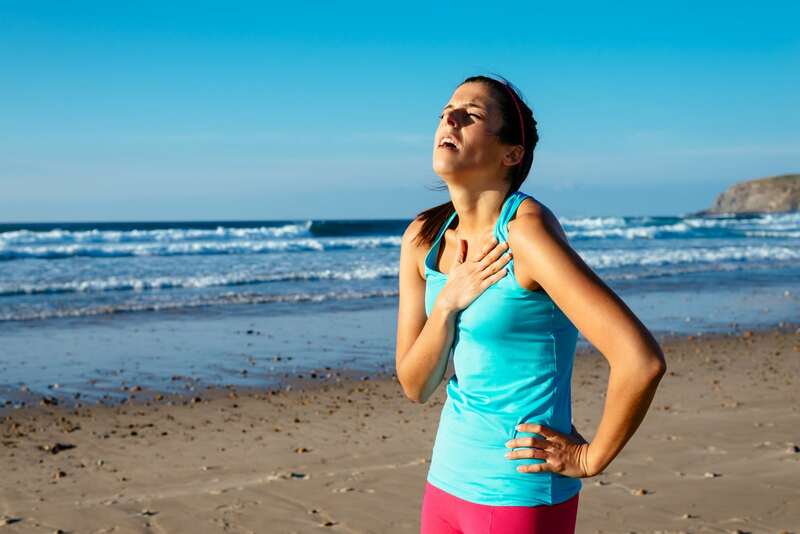 Some runners also experience shortness of breath, tightens in the chest and the feeling that your heart is about to stop and leave you for dead, which is pretty scary! However, heart palpitations are not that dangerous. They typically aren’t life-threatening or detrimental, and often settle down their own. Heart palpitations can be treated and prevented by simple lifestyle changes. Nevertheless, sometimes this condition can be an early alarming sign of real danger. 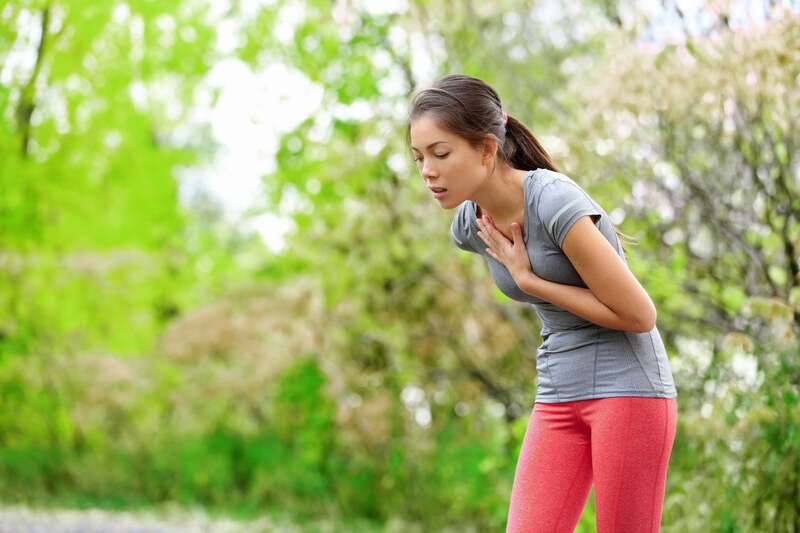 Exhausted female runner suffering painful angina pectoris or asthma breathing problems after training hard on summer. Running overtraining consequence. In some exceptional cases, heart palpitation can be a warning sign of a more serious heart condition, such as an abnormal heart rhythm (arrhythmia) or an overactive thyroid gland (hyperthyroidism). That’s why you need to consult with your doctor if the palpitations won’t go away even after taking some of the preventative steps. In case you experience heart palpitations along with some serious symptoms, such as a loss of consciousness, significant lightheadedness, intense chest pain, or fainting, then seek immediate medical help. After taking your medical history, conducting a physical exam, and looking into your current medication, diet, and lifestyle your doctor may order tests that can either confirm or rule out an underlying cause. A medical thorough examination will focus on the heart and lungs, and may include a medical history examination, an ECG, some blood lab work, and in some cases an ultrasound of the heart, a treadmill test, and complicated blood tests to check for electrolyte imbalances, thyroid abnormalities or anemia, all of which can help pinpoint the exact cause (or causes) of the palpitations. This may sound like exhaustive medical examination, but it’s worth it. It’s better to err on the right side, so always seek the help of a professional—especially when it comes to your health. The last thing you want to do is to go for a run when you should be going to a hospital instead. In most cases, heart palpitations pose no real threat. However, you will sleep better when your doctor rules out or, God forbid, finds out a real problem before it gets any worse. Experiencing an increase in your heart rate while running is an absolutely normal thing as exercise will make your heart work harder to pump the blood to your muscles. The consumption of stimulants, such as alcohol, chocolate, and caffeine. Running after eating a heavy meal that’s rich in carbs, sugar or fat. In some cases, eating foods scoring high on monosodium glutamate (MSG), sodium, or nitrate. High levels of stress and anxiety. Running while being under a lot of stress and anxiety; that’s why the condition often happens during panic attacks. For women, hormonal changes during menstruation and pregnancy can sometimes lead to the condition. Using diet pills or taking medications that score high on stimulants. Running at high elevation is a likely cause, as well as intense and hard running. Dehydration is also a possible cause of the condition. 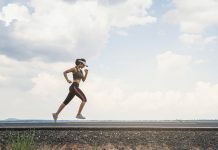 If you are dehydrated, then you will be more likely to experience palpitations when running, along with a host of other trouble, according to Harvard Medical School research. Therefore, keep your body well hydrated throughout the day. Drink at least 4 to 6 ounces of water half an hour before you go for a run. And for longer runs—45-minute and beyond—carry a water bottle with you—especially during the summer. Stress is no good. In fact, it’s one of health greatest enemies. That’s why you should do your best to minimize it in your life. Getting rid of stress and anxiety from your life will not only help you prevent heart palpitations when running, but it can also invigorate your life and make you more productive and happy. As a result, do plenty of stress-reduction practices like relaxation exercises (try Yoga Nidra), yoga, meditation, tai chi, guided imagery, self-hypnosis, biofeedback, and aromatherapy. Pick the one you like the most and stick to it. Plus, make sure also to tackle the sources of stress—whether it’s work or family related. Nausea – nauseous and sick ill runner vomiting. Running woman feeling bad about to throw up. Girl having nausea from dehydration or chest pain. These niggling heart palpitations can strike at any moment—during running or after even when you are asleep. And when they strike, they can be a very scary experience that induces some serious anxiety and panic. As a result, you need to learn how to relax on the spot and not panic; otherwise, you will be out of control. Freaking out will only exacerbate things. So it’s vital to not rush around in a terror frenzy, thereby adding more stress to your already stressed out and racing heart. One of the best on the spot relaxation tools I learned is deep breathing. This technique is ideal for reducing anxiety and slowing down your heart rate—which can trim down palpitations. Therefore, next time you are hit with a heart palpitation, slow down, breathe deeply from your diaphragm and relax your body completely. Use this technique in case you found it hard to relax using the breathing technique. Next time you encounter any sort of stubborn palpitations, be sure to massage your vagus nerve—which controls the heart rate will every so often reduce—or even stop—palpitations in their tracks, according to research. Stimulating this nerve has an effect on heart rate, which may help you put a halt to the palpitation and possibly bring back your normal heart beat. Pinch your nose and close your mouth. Next, while breathing out with force—just like when blowing up a balloon. Do this simple technique right and you will experience instant relief from the condition. Your heart needs its electrolytes to function right, and these include calcium, potassium, magnesium, and sodium. If you suffer from an imbalance—too high or too low—in any of these vital electrolytes, then palpitations may occur, according to research. To ensure a proper electrolytes balance, a simple blood or urine test will do the trick. If you have electrolytes imbalances, then you can speak with your doctor about how to restore them back to normal. Calcium: Almonds, beans, vegetables, and fruits. Potassium: Bananas, milk, apples, and raisins. Magnesium: Peanut butter, nuts, milk, yogurt and cooked soybeans. Sodium: Meats, spices, and some dairy products. To reduce the frequency of heart palpitations when running, you may consider steering clear of certain foods, beverages, and substances. For starters, do not run immediately after a large meal that’s high in carbs, fats or sugars. If you do that, then you are just flirting with disaster. Instead, give your digestive system ample time to do its job—that’s roughly two to three hours, even more. If you suspect that caffeine is the culprit to your heart palpitation, then make sure to avoid caffeinated drinks and foods such as chocolate two to three hours before your runs. You could also have em on your non-running days to cover all bases and stay on the safe side and err on the side of caution. 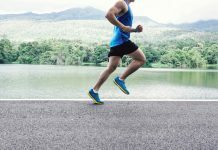 The above guidelines are practical and super helpful, but in case the lifestyle changes didn’t help you put a stop, or decrease, the frequency of heart palpitations during and/or after your runs, then you might consider taking some prescribed drugs. You will want to discuss this with your doctor thoroughly. In most cases, your doctor may prescribe certain medications, mostly beta-blockers; these can hinder the effect of adrenaline on the body, or calcium-channel blockers as well. Medication should be your last resolve for beating heart palpitations. Opt for it in case you have been experiencing the condition for a prolonged period of time.